I have always been suspicious of "plate tectonics". After becoming an EQ (Earthquake) predictor, I became even more suspicious. Sure there are plates of some sort, but EQs are definitely not evenly distributed which would be more likely if the whole plate was moving, so more is at play. It is also VERY clear that earthquakes and volcanos are intimately linked. Plate tectonics doesn't really account for that. Enter Surge tectonics, Powerpoint below. It has become very clear to me from EQ observation that there is more than just a "force release" going on, there is energy transfer across large distances, which I used to relate to momentum of the plate, but the Surge hypothesis may meld into a new hypothesis to describe or complement the momentum transfer. pot shot at Sun effects state that because sun spots are fairly equally scattered around large earthquakes, that the Sun affect is wrong. But those people.......are simply, too simple. Its not just the sunspots, only certain sunspots end up creating large magnetic disturbances and CMEs. 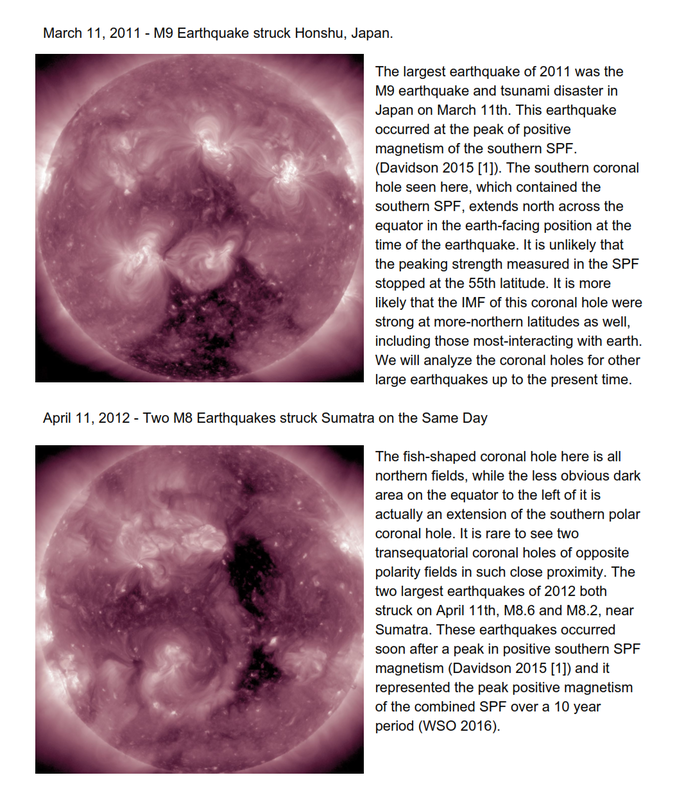 And from a reader, pointing out Suspicious0bservers research on "our star's" Coronal holes which are magnetic fields that are highly correlated with the largest of earthquakes. Here is a picture from a research paper he wrote. Please read the whole paper. And finally, my own theory that will be linked to the GUT grand unification theory of the still unknown force or ether that will someday be known....small fast moving space rocks cause earthquakes and its not through gravity. That said look at the upper picture. 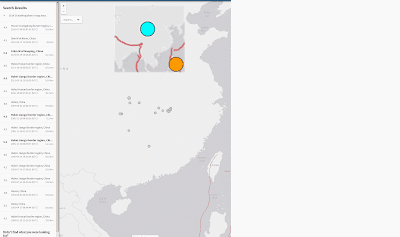 Very unusual large EQ in central China. Only 16 per 100 years in this area. TY, I have been loosely following Big Ben of Suspicious0bservers for years, but wasn't aware of this research paper. I added it to the article.